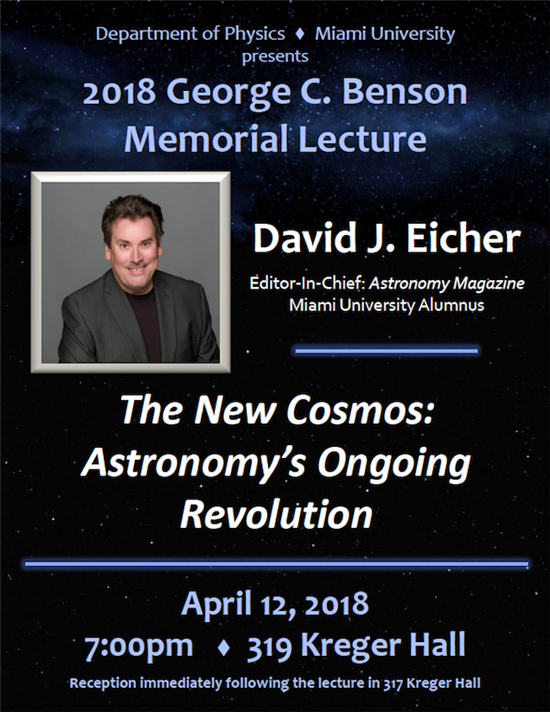 David Eicher, the editor of Astronomy Magazine, will be returning to his alma mater to lead a talk on "The New Cosmos" at Miami University's Benson Memorial Lecture on Thursday, April 12, 2018. The annual event honors George C. Benson, who earned his Master's Degree in Physics at Miami University and lost his life too soon. The event has hosted speakers with impressive backgrounds in science, including three Nobel Laureates, and features wide ranges of discussion topics — from the physics of baseball to antimatter to the science of space weather. Eicher's lecture will recap the recent discoveries in astrophysics, cosmology, and planetary science, and delve into topics like water on Mars, the fate of life on Earth, the Big Bang, black holes, dark matter, and dark energy. 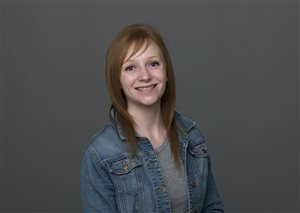 The event is open to the public and starts at 7 p.m on April 12.